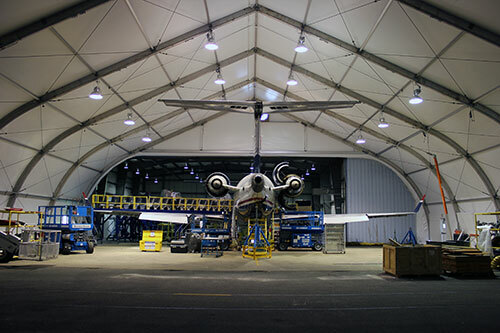 Mahaffey offers multiple solutions for temporary aircraft hangars. 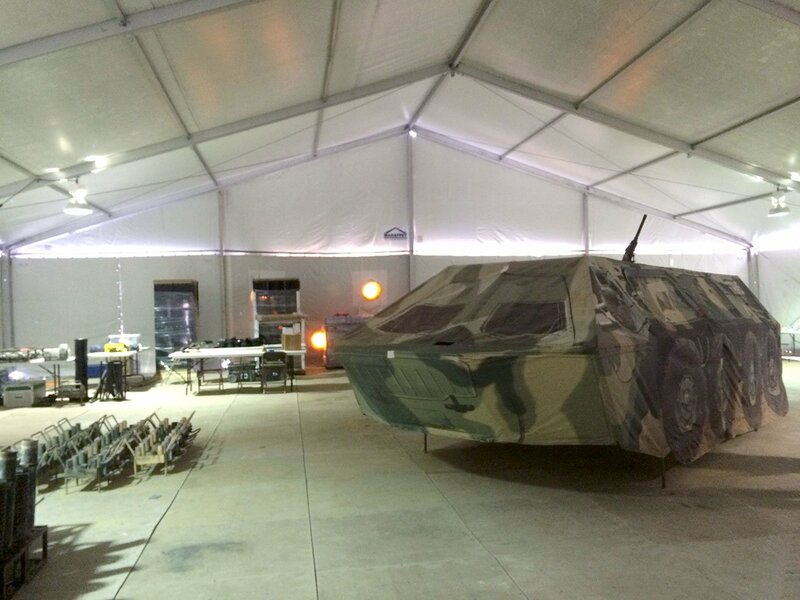 From temporary space to repair a downed aircraft to semi-permanent hangars for twin-aisle aircraft, Mahaffey has the solution. With each hangar project, Mahaffey strives to provide custom solutions to meet all the requirements of our clients. 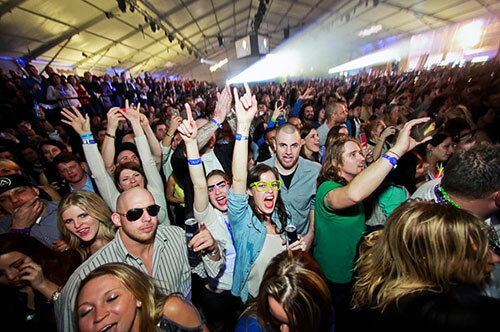 Whether you are planning a sporting event, music festival or corporate event, Mahaffey Fabric Structures creates the perfect event space for your special event. Mahaffey has over one million square feet of quality tents and finishing touches, allowing you to have a truly customized experience, while also protecting your guests from the elements. 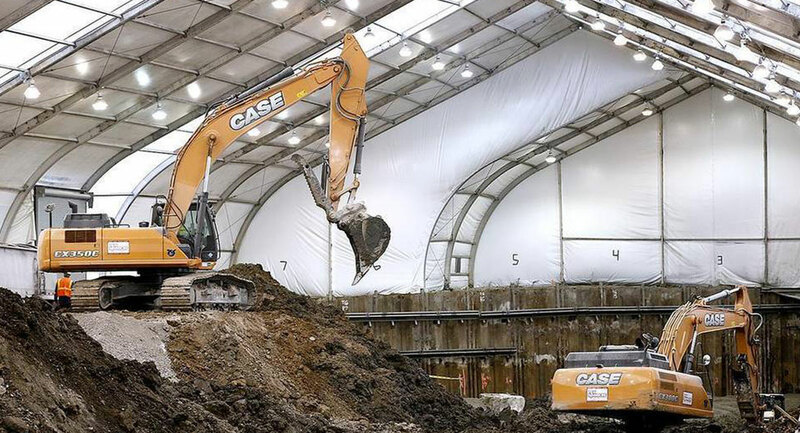 As an approved GSA provider, Mahaffey provides temporary structures for such projects as temporary troop cities, emergency and semi-permanent warehouses, temporary military hangars, and other applications. 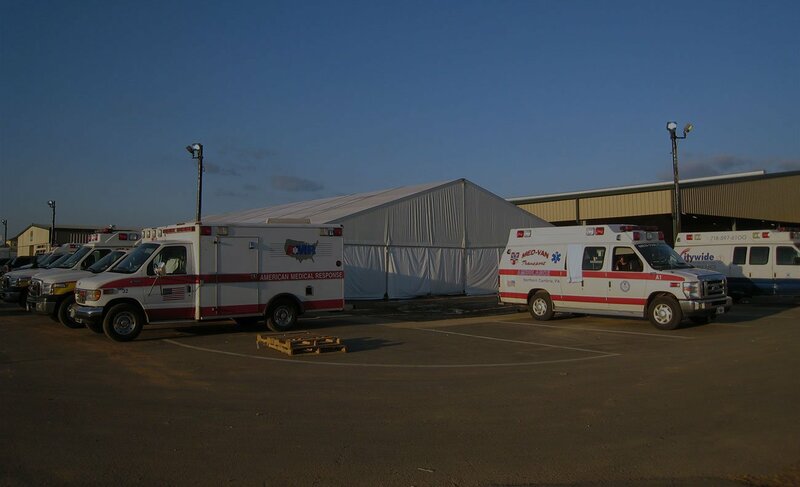 Mahaffey offers complete Forward Operating Bases (FOBs) consisting of DFAC facilities, sleeping structures, mobile shower trailers, power distribution, and climate control. 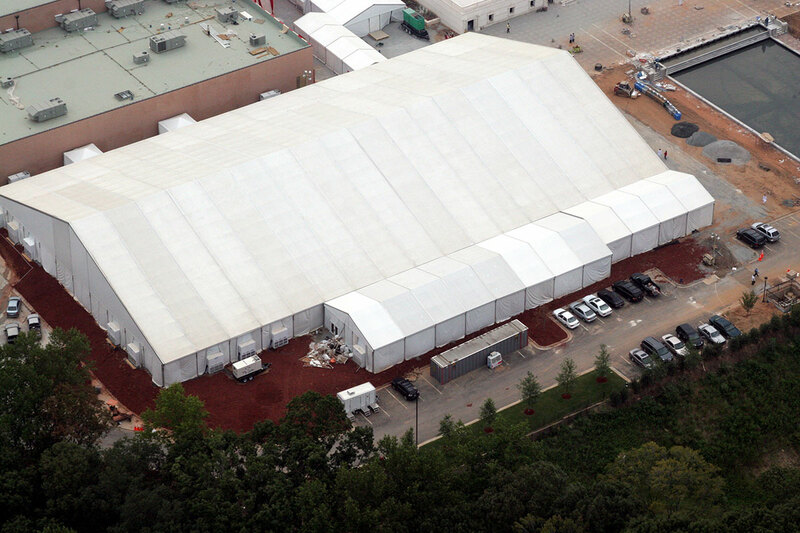 Mahaffey offers temporary structures for shelter, storage and business continuity facilities to put your organization back on its feet after a disaster. Regardless of the nature of your situation, adequate shelter is key to survival in emergency situations. 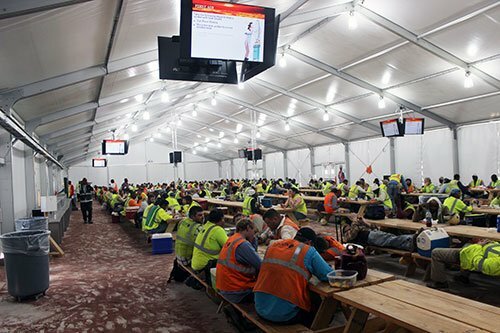 Mahaffey offers the optimum combination of vast experience and large inventory of temporary shelters and portable buildings. 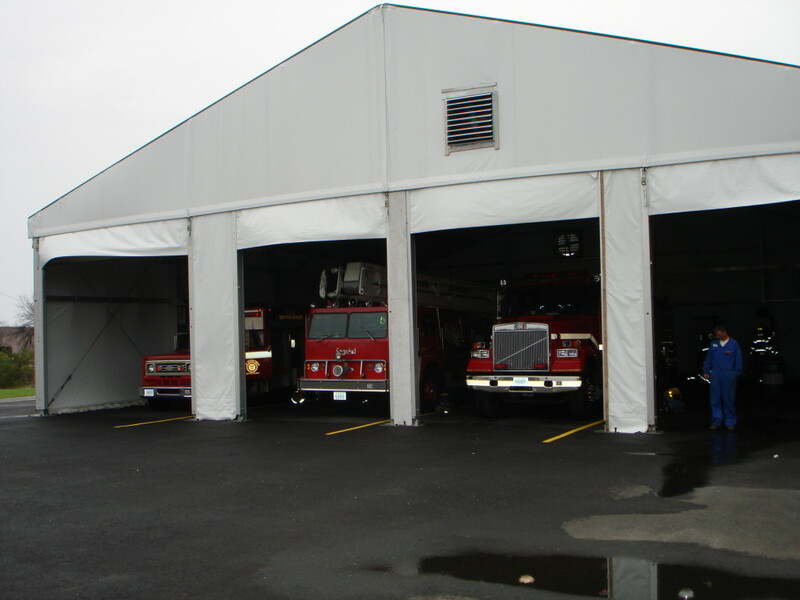 Mahaffey can provide your business with an immediate, custom-built maintenance tent that can be leased temporarily or semi-permanently, depending on your need. 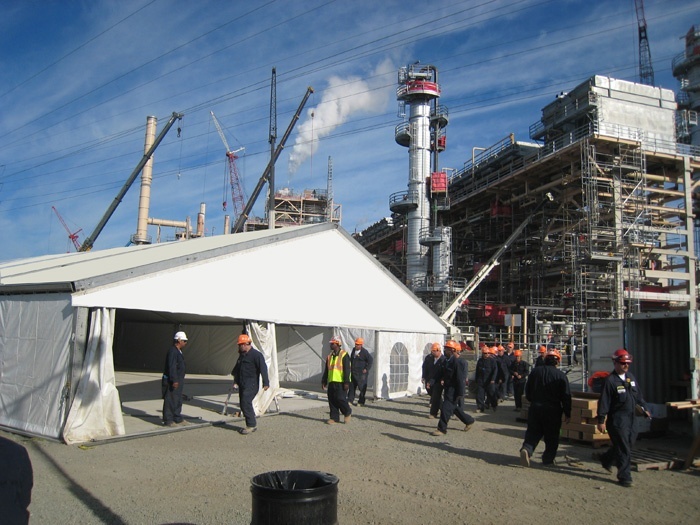 Our custom fabric structures can provide shelter for large-scale applications from equipment storage tents to pipe welding and fabrication.